We’re grateful to the folks who provide high-end equipment and products for our programs and delighted to support the important work of outdoor-focused nonprofits. Interested in partnering up with Avid4 Adventure? Thanks to KIND’s generosity, our campers enjoy healthy energizing snacks when out on the trails, paddling, or scaling a rock. Avid4 Adventure is a member of the Outdoors Alliance for Kids (OAK). OAK is a national strategic partnership of organizations from diverse sectors with a common interest in connecting children, youth and families with the outdoors. Avid4 Adventure supports the Leave No Trace Center for Outdoor Ethics, which protects the outdoors by teaching and inspiring people to enjoy it responsibly. We teach Leave No Trace principals in all of our camp and school programming in an effort to teach the next generation how to minimize their impact to preserve and protect the environment we enjoy. We support the Access Fund for their advocacy work that keeps U.S. climbing areas open and conserves the climbing environment. Giving kids a lifetime outdoors means a responsibility to ensure climbing access for many years to come. Old Town has a 100 year history of designing paddle sports equipment, becoming the exclusive manufacturer for the U.S. Kayak and Canoe Team in 1970. Campers love their kid-appropriate sizes and we love their durability. We use Specialized bikes because they make absolutely the best kids bikes with “Big Kid” quality. Campers conquer the trails on bikes ranging from balance bikes for our new riders to full-size mountain bikes for our teens. Stand on Liquid manufactures SUPs designed for any person, any water. They are our manufacturer of choice to ensure our campers have an amazing SUP experience. The IMBA preserves trail riding opportunities for mountain bikers worldwide. Our older campers enjoy trail riding in all of our locations thanks to great organizations such as this one. Black Diamond is our partner of choice for the high quality climbing gear we use on our mobile rock wall and real rock. Their innovative designs set standards in numerous areas. Our lunch partner, GoPicnic, delivers good food anytime, anywhere with healthful ready-to-eat meal options that are nutritionally balanced, under 500-calories, with no preparation or refrigeration required! GoPicnic products also contain no artificial colors, flavors, trans fats, high-fructose corn syrup, or added MSG. American Whitewater is the primary advocate for the preservation and protection of whitewater rivers throughout the United States. We support this amazing organization for giving us paddling opportunities in beautiful river settings. Located in Steamboat Springs, Colorado, Honey Stinger makes wholesome, honey-based products and is excited to keep campers fueled this summer. Perfect for any adventure, Honey Stinger will give you the energy you need to give it your all! 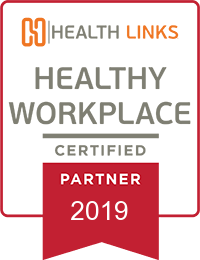 Health Links™ is a mentoring program that champions health and safety at work. As a nonprofit based in the Center for Health, Work & Environment at the Colorado School of Public Health, Health Links™ is a partner of Avid4 Adventure.